I'm a member of Carol Cone's Purpose Collaborative, and during last month's community call I challenged my fellow members to pick the number of cause-related ads that would air during the Super Bowl. This was a serious wager! I offered to buy the winner a Starbuck's gift card. The winner? Carol Cone herself. Yes, it's true, MOM IS ALWAYS RIGHT. In submitting her prediction she said: "I don’t think this will be the year of lots of ads…..my guess is 3." By my count, Carol was right. There were three cause-related ads from Stella Artois, Budweiser and Hyundai. You can watch all the ads here. The talk about one of these ads didn't stop after the Super Bowl. On Monday, NPR updated a story fact-checking Matt Damon's Stella Artois spot for Water.org. This article is a must read for cause marketers for two important reasons. First, with investigative journalism reinvigorated, we all need to be prepared to clearly explain to a reporter how a cause marketing campaign works and how it benefits all stakeholders. 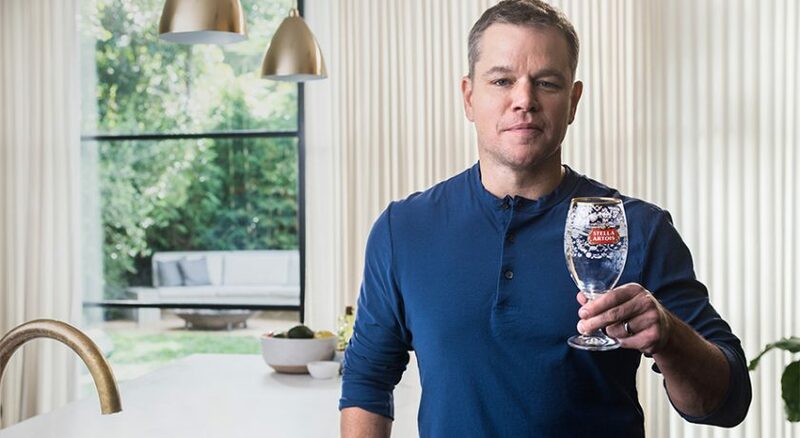 It turns out Damon's claim that buying a Stella Artois chalice will deliver clean water to someone for five years was not as clear as the water they work to provide. Second, in my survey earlier this year, you - my readers - said you wanted to learn how to better measure the impact of a partnership on your nonprofit and your company. Start with this article. Moving ahead, review your partnerships candidly, transparently and critically. Cover yourself as a investigative journalist would - or a real one might do it for you. The exercise will be good for you. You and your corporate partner will come away better informed and hopefully more motivated to have the kind of impact you both can be proud of. 1. This week on CauseTalk Radio, Megan and I talk to Rahama Wright, Founder & CEO, Shea Yeleen about her efforts to innovate the shea butter supply chain in West Africa. Her social enterprise Shea Yeleen markets and distributes high quality skincare products, while providing living wages to cooperative members in Northern Ghana. The line of shea butter products is being distributed through retailers such as Whole Foods, MGM Resorts and Amazon. 2. Mark your calendar. February 27th is National Pancake Day at IHOP 🥞. Enjoy a FREE short stack of our pancakes and donate to Children's Miracle Network, Shriners Hospital for Children and Leukemia & Lymphoma Society. The goal this year is $5 million. Since 2006, IHOP, its franchisees and guests have raised close to $30 million. 3. 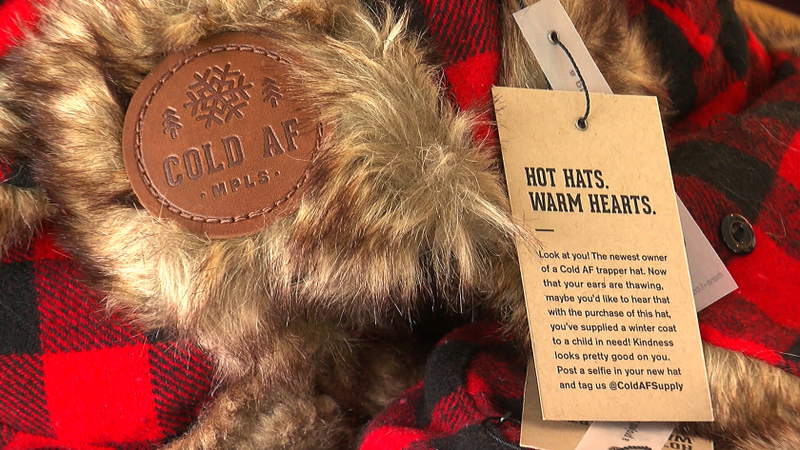 Great Super Bowl LII activation from this Minneapolis advertising agency that sold faux fur-lined red plaid hats and then delivered them by bicycle messenger to cold visitors. They even pre-warmed them! They sold for $50 and all the profits went to Operation Warm to purchase new winter coats for kids in need. Adweek had a nice round-up of other cause activations during the week leading up to the Super Bowl. 1. Celiac disease suffers slam Party City for commercial which jokes that people with gluten-free diets are 'GROSS'. 2. Newman’s Own Foundation has reached the milestone of $500 million in donations since 1982. But the foundation is inching closer to a self-proclaimed April deadline at which point it could begin the process of soliciting buyers for the operating company that has been the engine that generates its funds. Congress is forcing their hand. 3. Stop talking about how CSR helps your bottom line. Research found that if employees think your CSR initiatives are insincere they’ll react negatively and put in less effort. News on companies & nonprofits that are leveraging storytelling and content marketing to build an engaged & subscribable audience that can - over time - be monetized. 1. George Washington's Mount Vernon was closed in January for two weeks. Bummer! So the content team at Mount Vernon went behind the scenes to report on what was happening inside. Nonprofits, stop worrying about what content you should create and start documenting. 2. It's always better to have someone's email address. Don't believe me, data guru Steve McLaughlin has the numbers. Target Analytics, a division of Blackbaud, analyzed data from overall and online donors in FY2016 to FY2017 across more than 6.5 million donors and $659 million in revenue. They found that first year-donor retention is higher for online donors and offline donors that have an email address on file with the organization. **Would you like your cause-related job featured here? Hit reply or email me at joe@selfishgiving.com. 1. Meet the most generous tipper in America. He tips workers 50% instead of giving money to charity. 2. How this nonprofit founder got a $1 million donation from an anonymous bitcoin multimillionaire.